The full Rio 2016 Olympics Athletics timetable is available here. The rest of the full timetable for all the sports across all days is found here. Rio de Janeiro is 4 hours behind the UK, therefore to work out the time of the events from the timetable in UK time, add 4 hours. With only 17 days now until the 2016 Rio Olympics get under way, athletes are making their final preparations to peak at the right time for their event in the timetable. Arguably the biggest event of the Olympics, athletics, doesn’t get underway until Friday 12th August, the second week of the games and finishes on the 20th August (21st August including the men’s marathon). From here onwards, each day is packed with firstly the preliminary rounds and heats, with the majority of the main finals cumulating in the final week of the games. 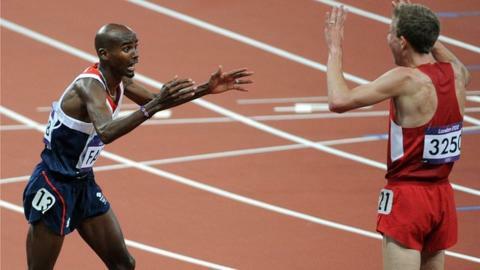 Mo Farah will be competing in both the 5000m and 10,000m. The IAAF officially announced the athletics program back in January, also announcing that finals would occur in the morning sessions of the day. This timetable gave possibility for many athletes to double up in multiple events such as both the 5000m and 10,000m (something which has always been the case). But also confirmed for the more rarely run double of the 10,000m and marathon to be contested by athletes such as Galen Rupp who won both these events at the US Olympic Trials. The men’s 10,000m final is on the second day of athletics competition, Saturday 13th August, in the evening of a local time of 21:25 (01:25 in the morning UK time), so some late nights will have to be prepared for. The obvious double for this event which Mo Farah is favourite to compete is the 5000m; this final occurs on the final day of competition in the Olympic Stadium on Saturday 20th August at 21:30 (01:30 UK time).